game came out in 2008, I never got a chance to play it, until now. 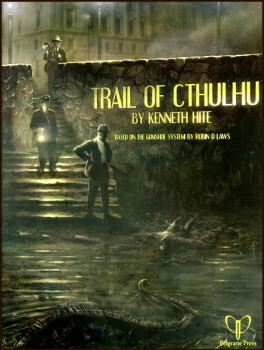 Designed by Kenneth Hite, Trail of Cthulhu is one of several games powered by the GUMSHOE System. 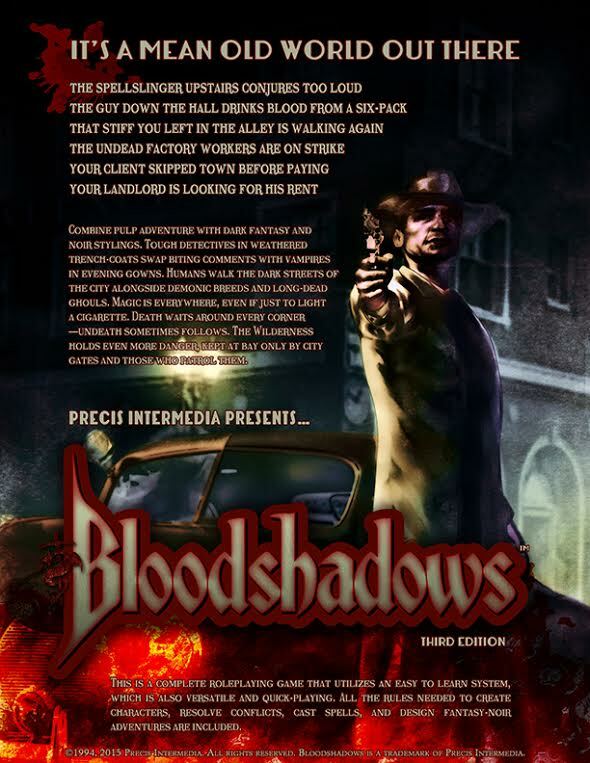 The design philosophy behind the GUMSHOE system is that in an investigative scenario, the gameplay emphasis should be not on the acquisition of clues, but on the interpretation of those clues. To wit, in Trail of Cthulhu, as in other GUMSHOE games, your investigative skills work automatically. Having even a single point in, say, Biology makes you a professional-grade expert on the subject. When you investigate a crime scene, you simply say you’re using your biology skill, you explain how specifically you’re using it, e.g. “Using biology, I examine the plants for signs of tampering,” and the GM (or Keeper, in a Cthulhu game), will automatically give you any pertinent clues about those plants, no rolls required. The amount of points you have in a skill can be optionally spent to give you more detailed, supplementary clues about the mystery at hand. The idea is that “core” clues, clues that push the plot of the game forward, will never be missed. Of course, any amateur GM knows to do that anyway, but in emphasizing this as a rule rather than a guideline, Trail of Cthulhu transforms the stereotypical Lovecraftian horror game into something fresh and new while still retaining the things that make it Lovecraftian horror. Specifically, the de-emphasis on dice rolls and skill point allocation free up both Keeper and player alike to elaborate on character, drama, and story. This can be a radical shift for old stalwarts of Call of Cthulhu, but the more story-focused gamers will likely find it a ton of fun. Note that not all dice rolls are eliminated, just the ones to find clues. Trail of Cthulhu uses a very straight-forward resource management system to resolve its more procedural elements. In addition to your investigative skills, you have general skills like “scuffling” and “fleeing.” When you want to use them, you spend as many points as you think you need, and roll a single six-sided die against a difficulty determined by the Keeper. Add the points you spent to the roll you made, and if you meet or beat the difficulty number, you succeed. Points regenerate slowly, so how you choose to spend them can become a very tactical decision in an extended action sequence. This baked-in tension through the resource management aspects of the system synergizes very well with the horror theme of the game. Your sanity and health work the same way. Personally, Trail of Cthulhu surprised me. I was skeptical going in because I felt the system could be too easily exploited and the game would just fly by too quickly, but in practice the emphasis on specific action made the game more immersive. Once I adjusted to the faster, looser pace, the game was easy and fun to run. The adventure I ran was “Devourers in the Mist,” written by Robin Laws and part of his ToC adventure compilation Stunning Eldritch Tales. The investigators in this scenario are castaways on a deserted island with a Mythos entity on it. 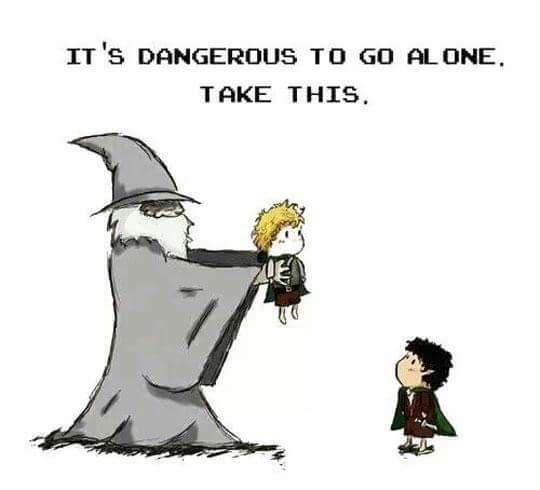 Think the TV show Lost if it were written by H.P. Lovecraft. 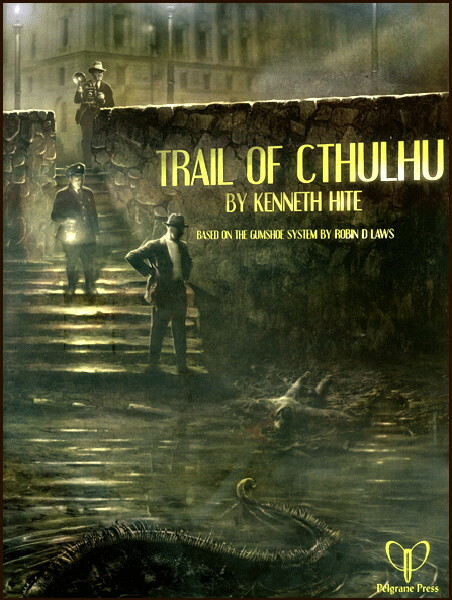 Right off the bat, this is an adventure that challenges the basic design of Trail of Cthulhu. Rather than a linear mystery, “Devourers in the Mist” has a sandbox-like element of survival to it. After some initial scenes of setting up a base camp, I slowly worked Mythos creepiness into the adventure as the castaway investigators explored the island. By the adventure’s climax, we had several dead characters and some deeply rattled brains. It was awesome! Overall, Trail of Cthulhu was a blast to play, and it offers a more dramatic, less procedural look at Cthulhu-esque investigative horror than the mighty Call of Cthulhu. It is neither better nor worse than CoC, but the particular taste of you and your gaming table will probably prefer one over the other. It is absolutely worth a look, regardless of how happy you are with your current Cthulhu RPG.